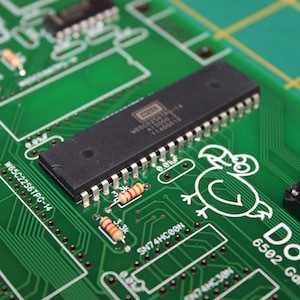 Dodo is a retro game system that runs on a real 6502 processor available as a kit. 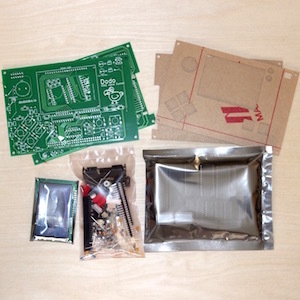 All parts are easy to solder through-hole components. Games are fun to develop using the playground in the cloud. No local software needs to be installed other than a Chrome App. In fact a Chromebook is the perfect development environment which makes Dodo a great fit for education. Check out these links to Dodo games in the Playground! 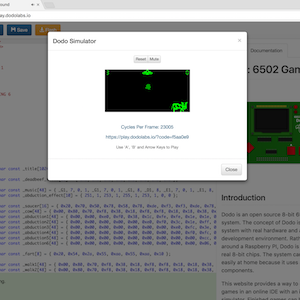 Get started today using the Playground to explore the game API and write games of your own! Sign in with your GitHub account to be able to save your projects.